The Frontier Park and Lodge (21718 Meridian E.) in Graham has proven itself one of the most versatile venues in the region. The lodge is rented for a wide-range of events; weddings, celebrations of life, birthday and holiday parties, and much more. The park, meanwhile, is open to the public, and plays host to the Pierce County Fair, the Tacoma Highland Games, equestrian shows, car shows, track racing, and even casual recreation. The grandiose 71-acre complex is filled with both large woods and turf areas. A $1.3 million renovation has transformed the former home economics building into a rustic lodge and historical site, and is more than twice as large as the original structure. 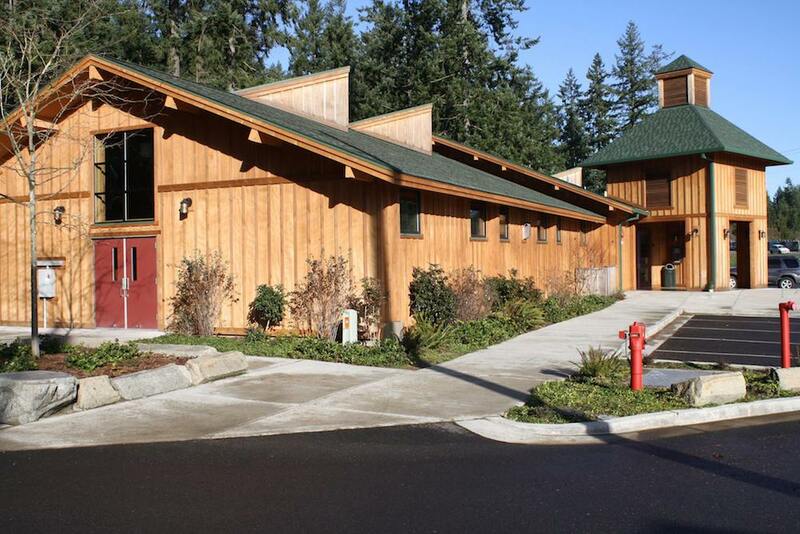 Frontier Lodge was officially dedicated with a ribbon-cutting ceremony on July 12, 2007. Along with the aforementioned elements, the park also has play equipment with a picnic area, space for kite flying and playing on turf, restrooms with showers, paved and unpaved areas for walking, and a racetrack run by the Little Wheels Racing Association at the park’s northwest corner, next to the back parking lot. The recreation classes scheduled by the county are typically held Monday through Thursday (a quarterly guide can be found on the Pierce County website, link below), with Friday through Sunday serving as the usual rental period. Oftentimes, its planned nuptials looking to lock down the following summer. The lodge itself has two sides, one with a fireplace that can fit approximately 140 people, the other a bit smaller, that can hold just over 70. When asked what people may not know about the facility, Clay noted that the design is a remodel of an expansion of one of the barns. “It’s not a real barn, but it has a rustic feel,” she said. Interestingly enough, Ezra Meeker and his father Jacob planted the first hop cuttings in the Puyallup River Valley more than 150 years ago. Ezra built Puyallup’s first hop-drying barn next to his cabin in what is now Pioneer Park. The are proved to be well-suited to the cultivation of hops, which became the valley’s premiere crop by the early 1880s. But a plague of hop lice devastated the hop crops up and down the West Coast in the early 1890s, and the Puyallup Valley’s hop industry never recovered. The lodge is only staffed when something is scheduled in the building, but open houses are held once a month for the public (that information is posted on the park’s website and Facebook page). “It’s free of charge as long as nothing’s scheduled,” Clay said. For more information, follow Frontier Park on Facebook at www.facebook.com/frontierparkgrahamwa, visit the Pierce County website at www.piercecountywa.gov/1321/Frontier-Park, or call (253) 798-4049.